Still trying to Compare Real Estate Agents in the Sutherland Shire? Check out some questions and tips below to help you choose the best real estate agent. But before you read on about how to pick an agent. We suggest that you speak with one of our team members on (02) 9545-2220 or filling out our contact form. Our staff can give you some tips on how to add more value to your property and get a better outcome for your rental investment or sale of your home. How do you pick a realtor to sell your house? Looking at their recent sales and history is always a good indicator to check against when picking a real estate agent. Pick an agency where you can work with the Principal Agent(s), as they are most likely to possess strong skills in negotiating and will understand how to build value for your property through different variables. Your agent should assess your real estate circumstances before you get into an agreement about selling your property. Real estate agencies that have healthy Real Estate Agent Reviews on platforms like Rate My Agent and Google Reviews, generally have a high standard of customer service. There is no doubt that Google rules the internet when it comes to search engines. Search for real estate agents in your local area, and Google will provide you with local business results and customer reviews. Another good place to find real estate agents is On The House. Real estate agent fees vary from agency to agency. While set fees and no commissions looks attractive on the surface. The truth is far from reality. An agency that will work on a set fee, has no motivation to achieve you a better result. Whereas an agency that works on commission will strive harder to get you a more desired outcome. When it comes to Real Estate Agent Fees transparency is always the best benchmark when trying to Compare Real Estate Agents. 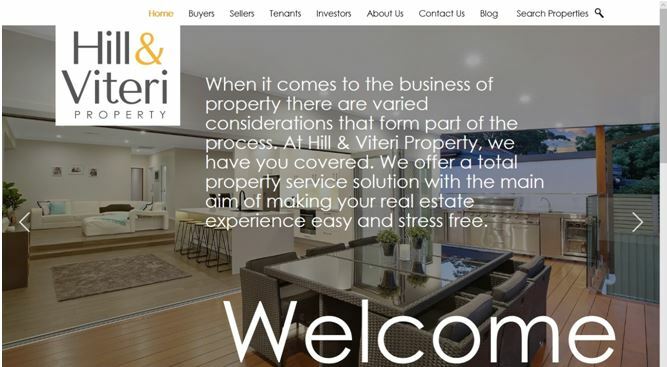 At Hill & Viteri Property we strive to get our customers the best outcomes on their real estate affairs. Whether it is leasing out your investment property or helping you to upgrade to a new home. Our agents have you covered for all aspects of real estate in the local Sutherland Shire Property Market. And when you choose to work with us here at Hill & Viteri. You can expect nothing but the best in customer service. Because we are an independent and boutique real estate agency, our focus is totally dedicated to our customers’ satisfaction and success in the property market. We believe in total transparency with our clients when comes to business and negotiating. And always keep a clear line of communication open with all customers and key stakeholders. Talk to us now at Hill & Viteri Property on (02) 9545-2220 and find out how we can help you to achieve your dream in the real estate market. Or simply fill out our contact form here if now is not a good time to have a chat, and will endeavor to return your query.